Gold industry has been attacked hard lately. Traders were betting against the precious metal since the FED is showing good signs related to the US economy growth. But, not everything is bad news for the mining business. Western Australia’s mining sector, especially the gold one, is having a great performance. Huge corporations and mining enterprises are making a step back in favour of minor companies. Smaller gold mining companies are gaining an important market share since the financial hardships that big companies are suffering because massive acquisitions of mines and lands in the past years. Without the capacity to make those mines productive, major players were pushed by their debts and high costs to sell those properties. So, minor companies have now a chance to profit in a relevant way. Smart finances are not only helping minor enterprises to buy interesting assets. Spending in exploration is now an obligatory process to make sure the profitability of those recently acquired assets. Determining effectiveness is the priority. Now, WA government is really interested in maintaining this trend. When minor companies didn’t have the actual share of the market a few months back, profitability were lower and the state were receiving a lot less in taxes. So, this situation is valuable for the government. In the meantime, the falling Australian Dollar in front of a growing United States Dollar helped greatly to domestic producers thanks to the profitability of the exchange rates. This factor provides now an important income margin. In local money, gold opened the week at AUD 1470 per ounce. Despite all the bad news for the gold industry at a global scale, Western Australia is having a decent time. 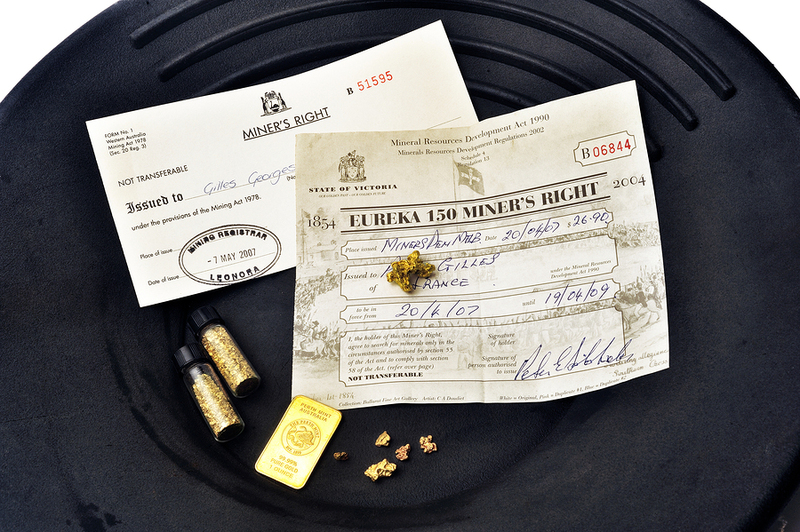 Financial hardships for the bigger players in the industry is now helping minor gold companies to throw excellent numbers in profitability and effectiveness. Traders should watch closely this sector of the gold industry. Investments can be highly useful to boost even more the performance of this growing companies. Exploration is at its best moment thanks to the low costs of related equipment. Also, the massive sell-off of mining assets by big companies is not being criticised by the specialised media nor the shareholders. These sales are helping to cancel debts and gain focus to develop fewer projects. With a great variety of exploitable mines and lands, companies didn’t make a good job executing productive plans and the objectives were not met. Distributing mines in the Western Australian industry is giving now more positive results by far. Experts think well about it and gave all the needed public approbation to go forward without losing their shares’ value. The investors are seeing this new strategy with good eyes and the stocks are now recovery. Slowly but recovering at least. If the circumstances remain relatively positive like now, Western Australia could recondition the financial trouble related to the iron sector and the federal budget. A de-valuated currency can now be really useful to cover losses in the past few months and to minimise domestic debt. Also, local syndicates can now achieve the wage rises that they were demanding in the past weeks. We must take consider that the low costs related to exploration and geological studies are caused by the depressed demand of the specialised equipment in the past few years. Now, with this hike on exploration, we should see at any moment the exploration’s costs rising again to their normal levels. That can be a good opportunity for investors and traders too. If the growing US Dollar takes a rest, gold have a chance again to go up. Forecasts were wrong about the FED’s future plans. They can be wrong too about the bearish gold market.